So what to do with all of those lemons? 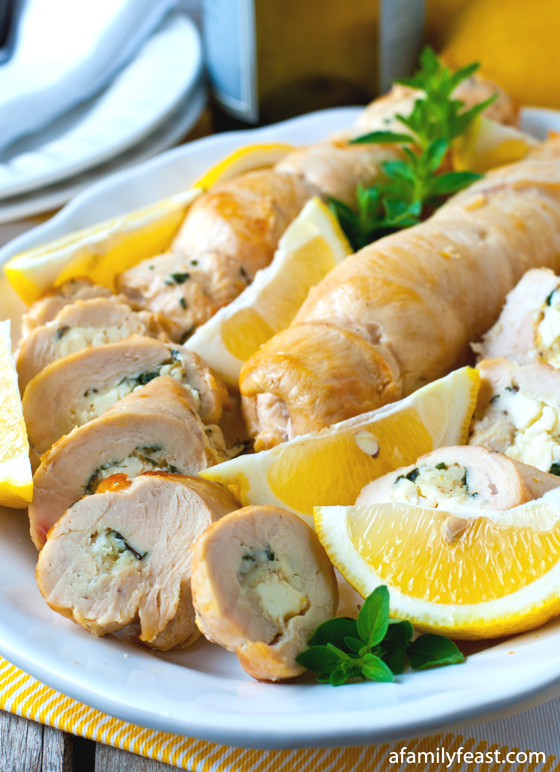 Our Greek Chicken Roulade is a great option! 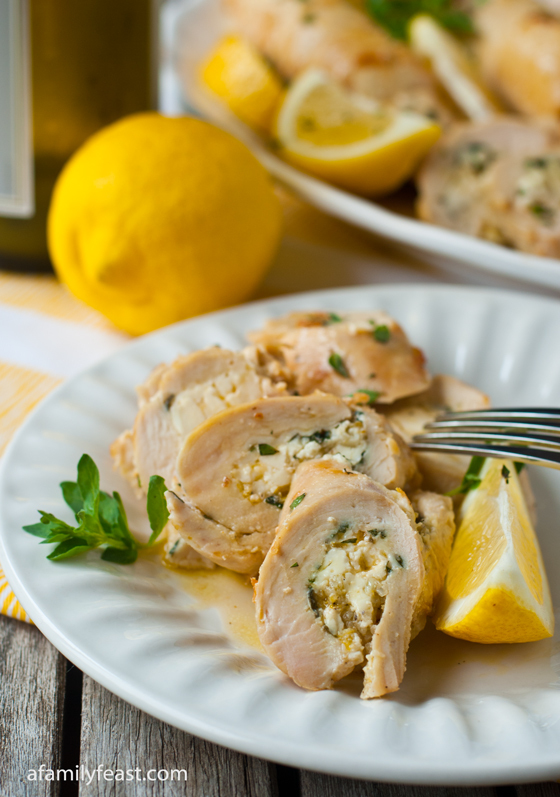 This Greek chicken roulade is a wonderful and light summer dish! 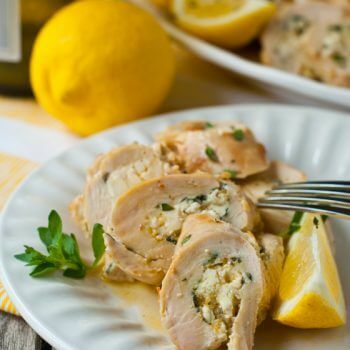 Boneless chicken breasts are flattened and rolled with a bright and flavorful Greek-inspired stuffing made from garlic, feta cheese, oregano and lemon zest. After browning slightly in a pan on the stove, the roulades are finished off for a few minutes in the oven until cooked through. Then a wonderful pan sauce of lemon juice, white wine, chicken stock and butter is poured over the sliced roulades. 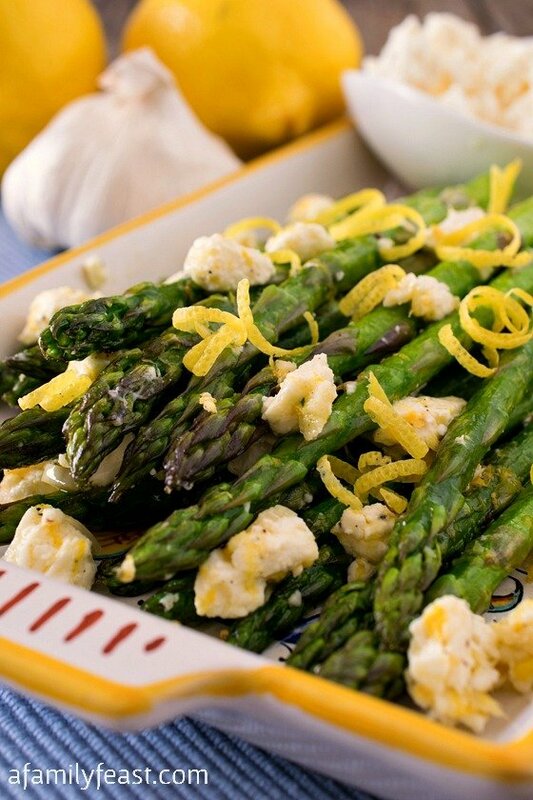 Add a few lemon wedges – and you’ve got a really delicious meal! Adapted from this recipe found on Bon Appetit, our Greek chicken roulade is simple enough for a weekday family dinner but looks impressive enough to serve at a summer dinner party. 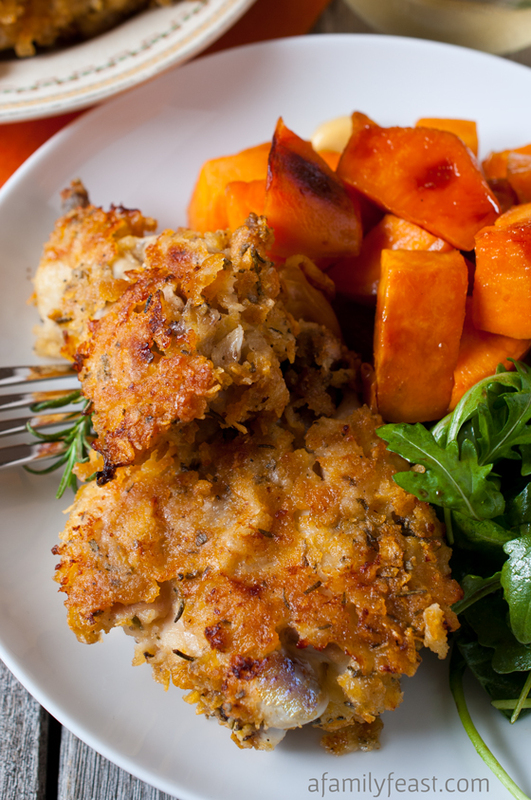 Paired with a salad and some crusty bread – dinner is ready! Pound out each chicken breast to 1/8th inch thickness. In a small sauté pan over medium heat, sauté garlic in 1 tablespoon of the olive oil for 1-2 minutes. Do not brown. Set aside. Sprinkle each chicken breast with salt and pepper. Spread feta evenly between the four breasts, leaving the two long edges clear. Sprinkle the oregano, lemon zest and cooked garlic and oil equally between the four breasts, leaving the edges clear. Roll like a jelly roll and finish seam side down. With butchers twine, tie off each end and then make one or two ties in the center depending on the length of the roll. In a large oven proof skillet, over medium high heat, place the remaining two tablespoons of olive oil and heat to hot. Add the four chicken rolls and brown turning to brown each side, about 2-3 minutes per side. After you turn the chicken to the last side, place the pan in the oven and roast for 5-10 minutes or until an internal thermometer inserted into the center of the largest roll reaches 140 degrees. Remove the pan from the oven and leave the oven mitt on the handle to remind you that the handle is hot. Remove the chicken to a platter to rest. Heat the pan over medium high heat and add the lemon juice scraping up bits from the bottom of the pan. Add the wine and cook to reduce wine to almost the point of total evaporation. Add the chicken stock and cook to reduce by half. Add the butter and stir just until melted. Add any liquid that has accumulated on the platter. Slice cooked rolls on the bias and place back on your platter. Pour pan sauce over top and reserved minced fresh oregano. Garnish platter with lemon wedges. Sounds like a great recipe. Can the roulade be frozen. Hi Don – Yes – could you freeze the roulade uncooked. You will want to thaw them before cooking. Hope you enjoy the recipe! 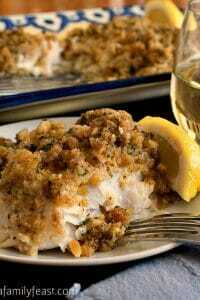 What an awesome elegant delicious recipe. I am enchanted. Dang, I would love to see this on my plate tonight for dinner. Can this be prepared the day before> Also what about adding spinach. How do you keep the cheese from oozing out? Hi Pat – Yes – this can be prepared a day ahead of cooking. 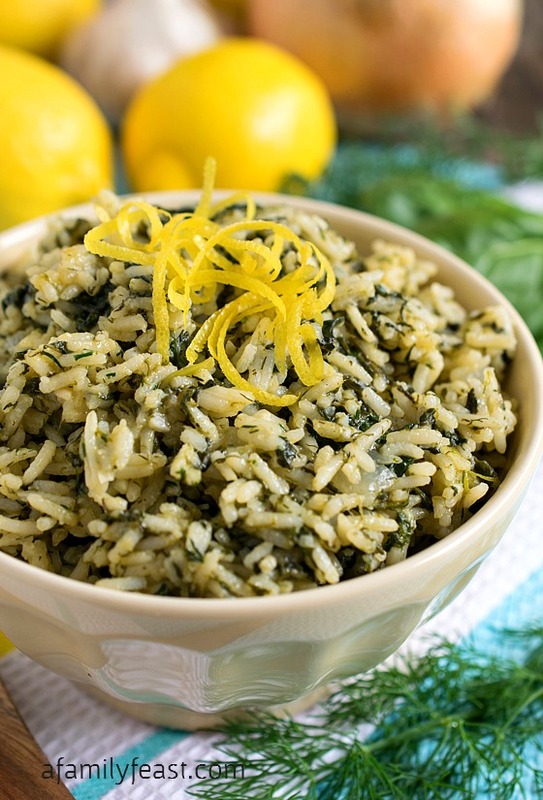 I think you definitely could add a little bit of cooked and well-drained spinach to the filling. If you look at the photos in the recipe, you can see that you’ll be tightly wrapping and tying the chicken around the filling. As the chicken cooks it will essentially seal in the filling and very little should ooz out. Hope that helps! 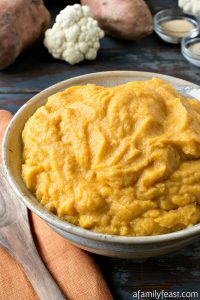 This looks like a wonderful dish for a special occasion but seems simple enough that one might even make it for a weekday dinner for the family. 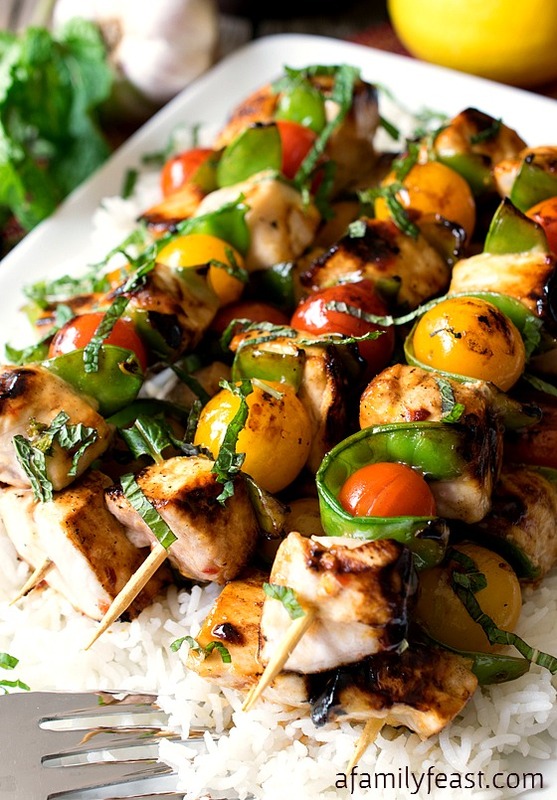 I so love trying new dishes especial the ones that feature chicken, it is such a perfect meat for health and versatility. 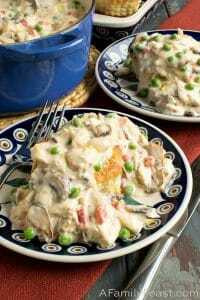 This is a recipe I could even get the kids who are less then enamored with chicken to try and for myself I love it any way I can get it but this seems to make it very special. Thanks for sharing. Thanks Christine! 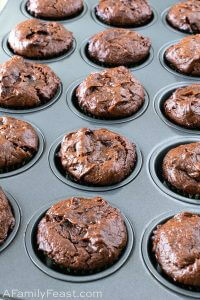 Hope you (and your kids) enjoy the recipe! Delicious and fancy! My husband would absolutely love this meal! Pinning!